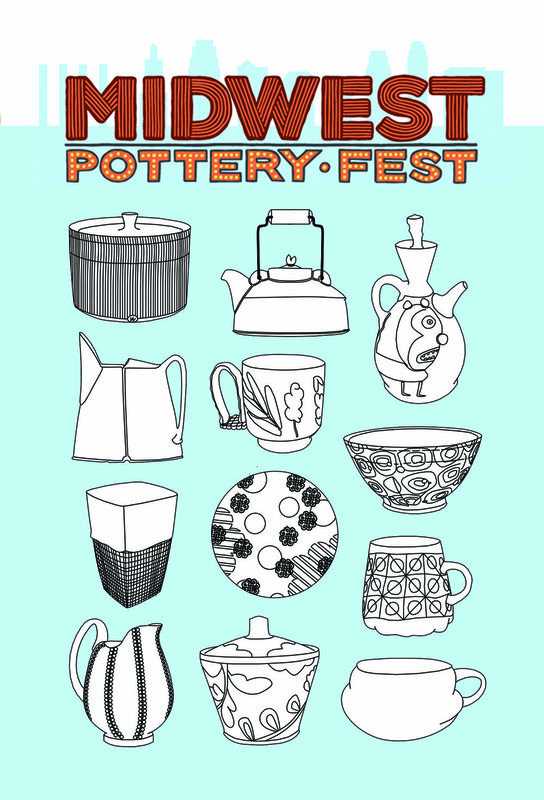 The fabulous MIDWEST POTTERY FEST is coming April 27 & 28 in KC! See more info below! We can't wait and hope to see you there! We have monthly events/openings in the shop, sign up on our mailing list to be notified. Thanks! 2019 Midwest Pottery Fest in Kansas City coming April 27,28! Discounts, Give-aways, Food, Drink, & Festivities & see our new space! & MARK YOUR CALENDAR FOR BLACK FRIDAY WEEKEND! Read about the KC Urban Potters in the September 2016 issue of Kansas City Spaces magazine! NCECA IS COMING TO KC! The Kansas City Urban Potters are excited to welcome the clay community and its supporters to Kansas City! There will be ceramic exhibitions throughout the city as well as workshops, gatherings, and sales events. The Urban Potters will be representing KC in the Gallery Expo where some of the nations top ceramicists and ceramic galleries will be displaying and selling work. The Gallery Expo is free and open to the public so please join us in Bartel Hall March 16-19! The 50th Anniversary Conference of the National Council on Education for the Ceramic Arts will explore the personal, social and aesthetic forces that animate creative work with elemental materials, methods and ideas in the midst of the information age. Kansas City, Missouri, the geographical epicenter of the continental US, is an urban nexus of fountains, bebop and technological innovation. Its horizon connects farmland with cultural complexity. An amalgam of global traditions and local vision, the region’s legacy of great art institutions, patrons, artists and educators has long held an important role in the development of North American ceramic arts. Makers, Mentors and Milestones will highlight issues of contemporary practice, celebrate the impact of influential figures and movements that have shaped the field, and create opportunity to envision collectively what lies ahead. Sign up on our mailing list for updates! Our First Annual Spring Invitational Sale is just around the corner! Join the KC Urban Potters and 6 nationally recognized guest potters on Mother's Day Weekend at the Historic City Market near downtown Kansas City. The vibrant outdoor farmer's market will be in full swing with local farm produce and foods, abundant options for a bouquet for Mom, along with many great coffee shops, restaurants, antiques shops, & more. Friday evening from 5pm-8pm is our opening reception. Friday evening will give you an opportunity to mingle with the artists, be the first to choose from their newest available work, and avoid Saturday's Market traffic, if that is a concern. Saturday from 8am-6pm we will be open during the Farmer's Market. 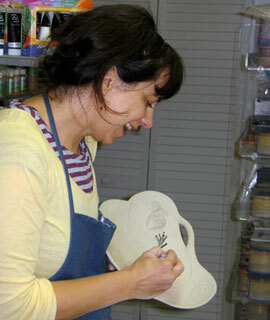 It will be an exciting day full of artist demonstrations and lots of activity in the Rivermarket area. It would be a great day to come early and stroll the market and enjoy all of the weekend festivities. Sunday, Mother's Day, we will be open from 8am-3pm, along with the Sunday City Market. Bring Mom and the rest of the family out to a great Rivermarket restaurant, stroll the neighborhood or the Missouri River trail, and peruse handcrafted pottery for a one-of-a-kind gift for Mother's Day. Keep scrolling down for our poster images and details and a map. Hope to see you there! Thanks to everyone who attended our 1st Annual Holiday Sale! & to all of our Kickstarter supporters! We are blown away by everyone's generosity! Become a Founding Supporter of the Kansas City Urban Potters!